No, not to the SCOTUS position. I'll leave that for more qualified analysts. I'm just saying that it seems that Trump will appoint more hawkish appointees for the two vacancies on the Fed’s Board of Governors, which are part of the FOMC, that decided monetary policy (the other 5 are the Governor of the NY Fed, and governors of the rotating member banks). It seems that Trump wants higher interest rates, even if that contradicts his rhetoric about the dollar being appreciated and hurting manufacturing at home. If monetary policy turns significantly more contractionary, unless he really goes for fiscal expansion, he might after all throw the economy into a recession. So far just more uncertainty. 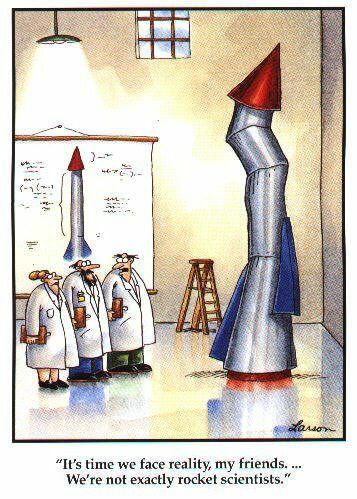 I was teaching the conventional labor market story in the intermediate macro class last week. I showed students how, involuntary unemployment would be by definition a contradiction in terms in the neoclassical model, since unemployment, other than frictional and voluntary, was not possible in equilibrium. In disequilibrium, unemployment results from some friction or market imperfection, or a shock, but it can be solved by lower real wages. But in equilibrium, unemployment basically means that the person, even though was looking for job, was unable to find one because it decided not to work at the given real wage. As I told students, they have accepted, more or less uncritically, from their principles textbook, the notion that involuntary unemployment does not exist. I joked that all of them accepted without knowing the idea that workers that are unemployed are lazy, and do not want to work basically (jokes aside that's actually what the model suggests). * Worth remembering that fluctuations in employment for RBC authors are all about shocks to the labor demand curve, productivity, and that the labor market is essentially always in equilibrium. Tariffs or sales tax and corporate tax reduction? The announcement, and backtracking, on a 20% tax on Mexican imports caused a lot of confusion yesterday. I assumed like most that this was a proposal for a tariff, which would both ditch NAFTA rules and run afoul of the WTO rules. The wall and the tariff led to a cancellation of the Mexican president's trip, and a souring of the diplomatic relations. But in all fairness, it seems that this had little to do with Mexico. The Republican Tax Plan basically is to eliminate the corporate income tax, and to substitute if with a destination based cash flow tax (DBCFT, is the clumsy acronym of the beast; on this see Jared Bernstein). The idea is that this would reduce the incentive of US corporations to relocate abroad to scape the income tax, and to basically introduce a national sales tax. The tax is border adjusted, so to speak, since imports sold in the US would pay taxes, but exports wouldn't. So it seems to me that Trump was trying to use the GOP tax plan, that already existed, and is still in place, as far as I understand, and use it to claim that as Mexican imports will be taxed, they will be paying for the wall, that it seems he really plans to build. They seem to at least temporarily backtracked on the proposal, mainly I think to avoid jeopardizing the tax plan, which seems to me to be regressive, sales taxes after all hit everybody, and solving the problem of corporate tax evasion, by making the US a tax haven, and shifting the burden to consumers (just a hunch, I'll wait for tax exports to do the hard work of calculating the effects). 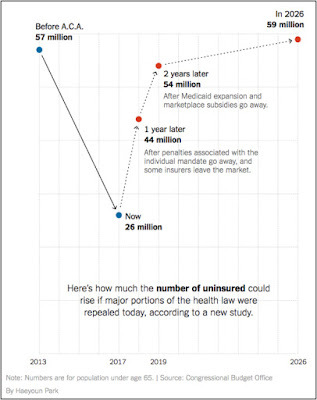 The impact of such a policy, by the way, is less clear than one would think. Josh Mason wrote something about it here. Like him I'm skeptical that a sales tax on imports would bring a lot of manufacturing jobs back. But even if this reduces the trade deficit, with Mexico and other countries (China? ), which again I doubt, the problem of the quality of jobs here (and manufacturing matters among other things because of the quality of jobs) in the US does not depend fundamentally on the trade deficit per se. On that front, what will be done with labor regulations, the minimum wage, and the overall macroeconomic picture seems to be more relevant, and there are reasons to be concerned. The creation of a stable unit of account, which was essential for international trade, seems to be central for their creation. Proof of the importance of foreign exchange for this small, trade oriented, states is that this banks had a monopoly on foreign exchange clearing. 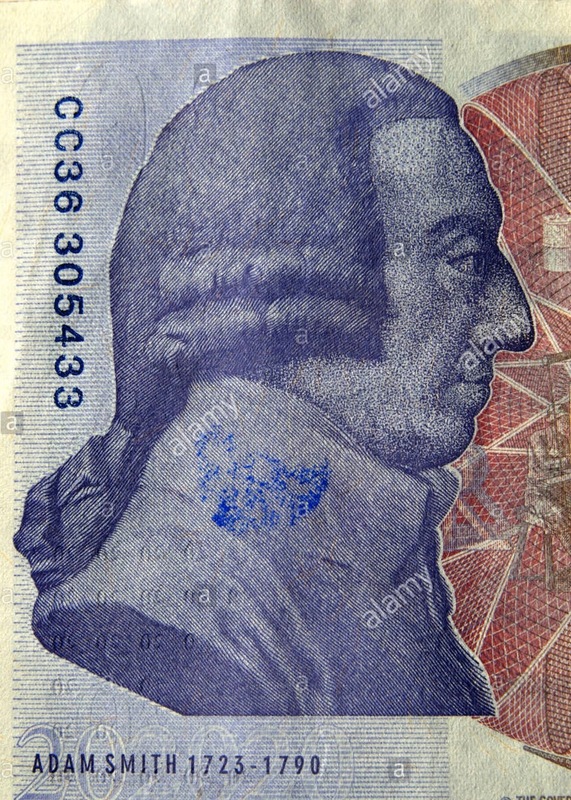 In a sense, to guarantee the unit of account, and, as a result trade, was essential for government revenue which was to a great extent tied to the fortunes of foreign trade. In some sense, this preoccupation with a stable of unit of account is not unrelated to the function as a fiscal agent of the state. A negative interest rate policy (NIRP) appears revolutionary, but its justification rests on failed, pre-Keynesian “clas- sical” economics. This claims that lower interest rates can al- ways solve aggregate demand shortages and lead to full employment. Keynes discredited classical economics by showing that saving and investment might not respond, as assumed, to lower interest rates. 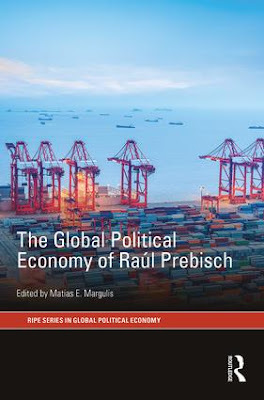 The Global Political Economy of Raúl Prebisch offers an original analysis of global political economy by examining it through the ideas, agency and influence of one of its most important thinkers, leaders and personalities. Prebisch’s ground-breaking ideas as an economist – the terms-of-trade thesis and the economic case for state-led industrialization – changed the world and guided economic policy across the global South. As the head of two UN bodies – the Economic Commission for Latin America and the Caribbean (ECLAC) and later the United Nations Conference on Trade and Development (UNCTAD) – he was at the frontline of key North–South political struggles for a fairer global distribution of wealth and the regulation of transnational corporations. Prebisch increasingly came to view political power, not just economic capabilities, as pivotal to shaping the institutions and rules of the world economy. 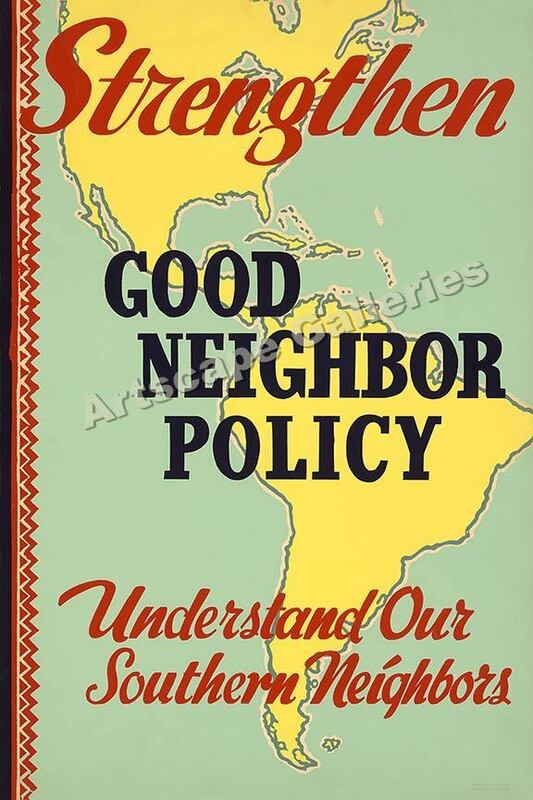 This book contextualizes his ideas, exploring how they were used and their relevance to contemporary issues. The neoliberal turn in economics in North America, Western Europe and across the global South led to an active discrediting of Prebisch’s theories and this volume offers an important corrective, reintroducing current and future generations of scholars and students to this important body of work and allowing a richer understanding of past and ongoing political struggles. The book will be out in March. Electoral quakes and the establishment: A new world approaching? As the first days of Donald Trump’s presidency unfold, the prevalent attitude to his surprising victory among the various breed of the liberal intelligentsia all over the globe is pretty much the same as it was on the morning of November 9, 2016 — that of a profound shock. Apart of purely emotional reactions (ranging from desperate ‘Bernie could have won’ to hopeful ‘Trump will be impeached almost immediately’), this shock reveals itself in attempts to rationalize what those intellectuals regard as ‘irrational’ in familiar and comforting terms. The terms were provided by what had started as a pre-election narrative postulating why a ‘bigot’, ‘misogynist’, ‘white supremacist’, ‘fascist’, etc. simply could not have won the election, and was supposed to culminate in authoritative post-election covers of Madam President’s victory. That narrative was happily going hand-in-hand with the data provided by political scientists. The latter had all the tools available from their powerful analytical arsenal to prove the imminent failure of Trump; on the election night it happened so that they had to reposition themselves, and to explain the failure of the data ‘on air’. The narrative itself did not remain orphan even for a moment though: it was adopted to explain ‘Madam President’s’ loss. Its psychoanalytical potential is undermined, however, by the need to interpret how the win of the person with such disparaging characteristics was possible at all. Even if the models of modern political science at times can be somewhat loose, it is the reliable source of plausible and comforting (for some) post-factum interpretations appropriate for becoming the commonplace (post-) truths. The interpretation of the 2016 election focused attention on the three Rust Belt ‘swing states’ accounting for roughly 70,000 majority of popular vote. Precisely these votes, according to the established narrative, actually delivered Trump to the presidency (see, however, a more nuanced analysis here). Still, the location of the anomaly did not preclude the search for ‘what is eating at them’. There emerged two major modes of explanation: a ‘psychological’ one (the frustration of undereducated, poor white male voters lost in the changing cultural landscape), and an ‘economic’ one (the discontent of the undereducated, poor white working-class voters hit hard by deindustrialization). The two modes are not incompatible: after all, according to mass-media outlets, ‘working class’ usually stands for men (for some mysterious reasons the mass-media do not regard women working either at their homes or outside as ‘working-class’). But while the first perfectly fits into the ‘post-modern’ pattern, the second is rather heterogeneous as it revives the elements of the ‘obsolete’ reality from a mass-production era. Indeed, with the advent of the notion of post-industrial society, first among sociologists since the 1970s, but later among economists as well, the idea that large scale industrial production was dying had become common wisdom by the 1990s. 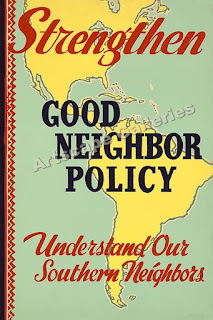 By the very same period, in the wake of the Soviet disruption and the fall of the Berlin wall, it had been merged with the notion of globalization; and both notions contributed to acceptance and spread of the neoliberal consensus both in the academia and in the progressive public discourse. These notions reshaped the understanding of the future trends. If in the 1970s–80s the evidence of deterioration of formerly thriving industrial and urban areas were generally considered as the signs of a general economic and social decline, since the 1990s the depressed areas around the former centers of industrial production were seen as a by-product of progress: some unpleasant (and temporary) evidence of a coming global, digitalized and anonymized order. The story of the ‘lost’ regions and industries was told in terms of a statistical tendency: that of constantly declining share of manufacture in GDP, and of manufacturing workers in the labor force. The practice of outsourcing, the urge to sign of free-trade agreements (during the Clinton era in the 1990s as well as during Obama’s terms) and the creation of the ‘global value chains’, sanctified in the authoritative sources on management, only reinforced the discourse further — one simply cannot be progressive if not to side with the actual way of progress. For some other mysterious reasons we are all told time and again that this alleged path towards progress and enhancement is the product of some natural force in the era of ‘post-industrial’ production in which each individual should release her creativity that will pay off sooner or later according to their merits – and not to their patrimony - of each individual. After all, the story goes, all of us have merits (human assets, human capital) – it is up to each of us to release them in full. In the new millennium means of production lost its significance to production of meaning. The working class was substituted by the ‘creative class.’ And the creative class of the world was effectively united by Facebook and other social networks of choice. Its major champions were creative indeed: they created the brand new industry of urbanism promoting their enlightened, valuable (and high-priced) expertise on gentrification and the other means of ‘post-modernization’ of the cities in decay. But it was a win-win game. 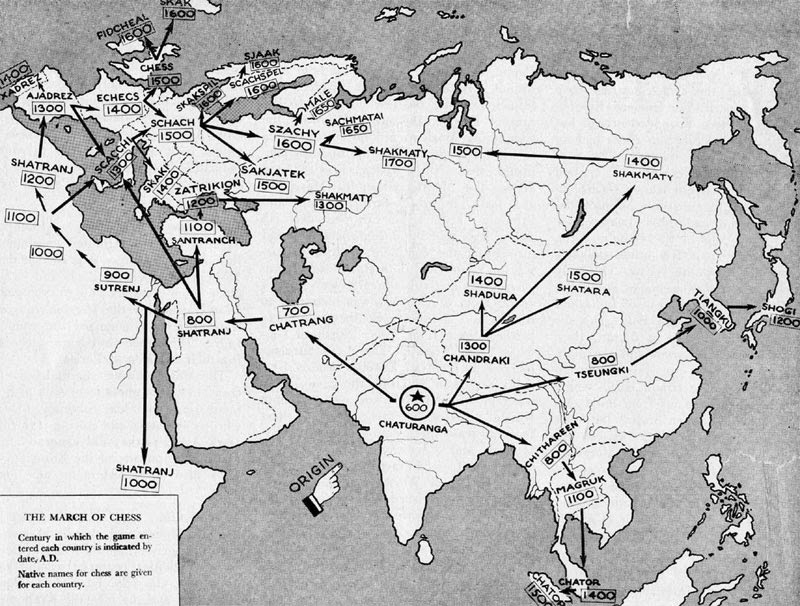 The virtual reality allowed for a fair share of ‘likes’ for all, and the senses created by a new global value chain of symbolical production did produce the sense of participation among the aspirant cadres from the peripheral belts of the ‘global village’ (or, rather, ‘Greenwich Village’). A real world was conveniently represented by the newsfeed on a screen of an iPhone (preferably in a Starbucks); only the Hope was needed, and it was delivered in abundance. Alas, the Great Recession endangered the consumption of lattes and smoothies among the ‘creative class’, and proved that the discontent of the ‘working class’ in some cases cannot be relieved by urbanism alone, nor by any of the other virtual prosperous villages. ‘What’s eating at them?’ had been long in the air before November 9, 2016. But it seems that the ‘economic’ mode of approaching the question would have remained confined to a restricted circle of old-fashioned radicals, only rarely and condescendingly noticed by the progressive left, unless for the series of political quakes. It was again the political science that breached the established ‘post-modern’ pattern. By the time of the 2016 U.S. election the talks on the crisis of globalization and the major blow to the neoliberal consensus due to economic troubles of the ‘old’ sectors of the advanced economies had ceased to be regarded as eccentric. Initially the rise of ‘populist’ movements with their pleas for protectionism and nationalism was conceived as a political aftershock to the world economic crisis (and, more recently, to the wave of immigration); the aftershock that might have delivered a number of parliamentary seats to the newcomers, but not to shake the established bipolar (centre-left – centre-right) political order in the advanced economies (the electoral successes of populist and nationalist parties in Hungary and Poland were largely regarded as the excesses of young democracies to be corrected by the influence of the EU apparatus). It was the start of the anti-establishment U.S. primaries in 2015, Jeremy Corbyn’s unexpected rise, the Brexit vote in June 2016, which let into the mainstream discourse the idea that economic discontent can be translated into real political changes. Shocking as it was for the whole class of public opinion makers, Trump’s win was a verification of the hypothesis that had already emerged out of the previous experience. And afterwards, all other electoral events in the advanced economies have started to be seen under the light of this hypothesis: as its further verification. It was the case of the prolonged and inconclusive presidential elections in Austria (where the right-wing candidate at last failed); even more so it was the case of constitutional referendum in Italy on December 4, 2016. In the latter case, Matteo Renzi, then Prime Minister, a whiz-kid to Nicolò Machiavelli and Nelson Mandela (most likely with Mother Theresa as a midwife), a self-proclaimed communication guru (he uses his iPhone as masterly as Macbook), and a self-esteemed Latin Obama, managed to transform otherwise rather secondary electoral event into the reality show — to receive finally the international fame he fully deserved. The next test is the coming presidential election in France, where a bunch of gifted centre-left and centre-right political leaders did their best to support the cause of Le Pen family. But here we are leaving the electoral analysis for the realm of political science models (assuming they are much more advanced now, than prior to November 2016), in order to concentrate on the hypothesis itself — the hypothesis, let us recall, that underlies an ‘economic’ understanding of the series of electoral quakes. ‘Trumpquake’ was strong enough to make the mainstream political discourse to embrace the notion of revolution (see here and here). Putting this ‘political revolution’ on economic grounds of deindustrialization and other negative effects of globalization, combined with the impact of the economic recession and slowdown on incomes and opportunities only made the notion more plausible. Again, there is nothing at odds with the idea that Trump’s victory was based on economic discontent of certain social groups, which would prevent using it as an element in therapeutic exercises of the liberal intelligentsia, that is in development of Freudian-like narratives. Generally, in such exercises it is just a background for narrating, and not the narrative itself: there is nothing in economic issues to make them even nearly as exciting as the search for a ‘father figure.’ True, the vast majority of the low-income recipients voted against Trump, while high-income classes opted for the billionaire only on a slight edge difference against Clinton. The huge absentee for election-day, which would otherwise have had other effects, can be interpreted as the big failure of the Dems to actually deal with the economic consequences of free-trade liberalization on the once-booming manufacturing workers. Still, economic understanding of recent political history has its own logic, which is in its essence alien to the mainstream approach, centered on subjective psychological phenomena and their social objectification in forms of ‘identities’, ‘cultures’, ‘minorities’, all echoed by many mass-media outlets. Only one step from here is needed to postulate that the objective ‘economic forces’, rather than a variety of subjective representations and projections, is in fact the driver of historical processes; and that political and social effects of ‘economic forces’ may well differ from the desires and expectations for the future shared by respectable, present-day opinion-makers. It would have been really remarkable if the ‘post-modernist’ discourse were to embrace, even occasionally, a ‘modernist’ doctrine of historical process. It was not the case, however. A political revolution it was not — there were no change in any basic institution of the advanced economies. There is a shift in political reality underway, but it was not an abrupt change in social and economic reality. True, Trump’s victory may dreadfully frighten those who eight years ago deemed Obama’s term as a hopeful and democratic paradise. But the fact is that the capitalist system is restructuring itself, back again to boost the domestic production (of the advanced economies) before any truly anti-capitalist threat may take roots. This political shift in the political reality on the globe does not in the least mean a break with neoliberalism and globalization – while we may await for increasing public expenditure on military and infrastructure, much alike to what Reagan did in the eighties, there is no reason to expect a tyranny now, which may break ties with the other economies of the world. There are no revolutions, but electoral quakes within the established circle of mass establishment options staging on the democratic playground of the global village. It is not the notorious ‘glass ceiling’ that is to be shattered, rather the mirror between the established class of the opinion-makers and reality of the modern world. 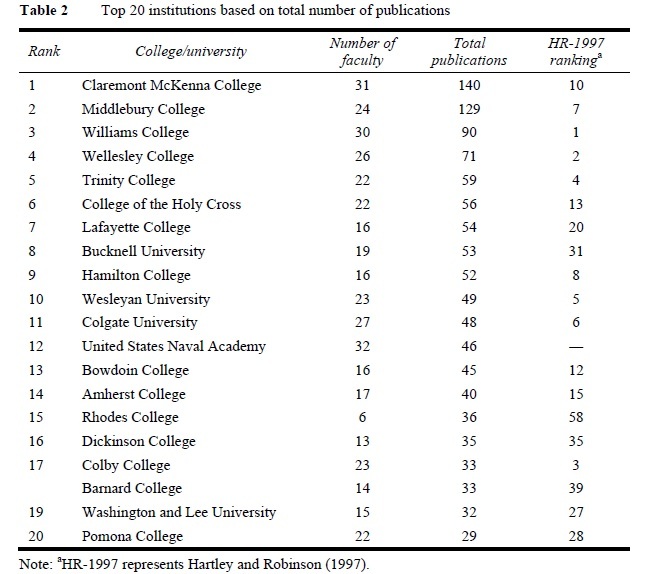 So Bucknell is on that list, according to Chen Qian, Steven B. Caudill and Franklin G. Mixon, Jr. (2016) “Engaged in teaching, and scholarship too: economics faculty productivity at national liberal arts colleges,” International Journal of Pluralism and Economics Education, 7, 360-372 (subscription required). Not sure how useful this kind of data is. Very much like the data on journal rankings discussed before, this should be taken with a grain of salt. But the schools with heterodox, or pluralist departments do relatively well, I think. President Trump and Fiscal Policy: Austerity Big Time? Overall, the blueprint being used by Trump’s team would reduce federal spending by $10.5 trillion over 10 years. The proposed cuts hew closely to a blueprint published last year by the conservative Heritage Foundation, a think tank that has helped staff the Trump transition. In all fairness, I am not, or at least was not until now, expecting big spending cuts and austerity. I expected the cuts in social programs, like say health, to be more than compensated by military and infrastructure spending. The recent historical record is that all Republicans since Gerald Ford have increased spending and the fiscal deficit. Maybe the Hill is right, and President Donald will throw the economy into a recession, following the rightwing/lunatic fringe's ideological hate of Big Government. That would make Trumponomics very different than Reaganomics. To be seen soon. 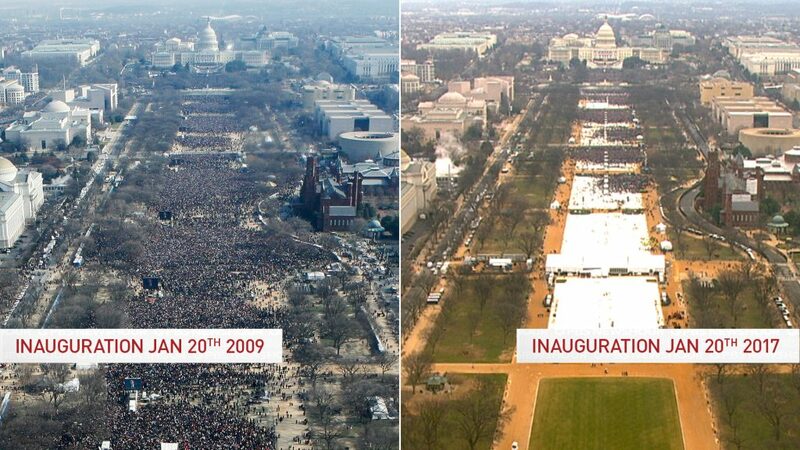 Btw, this increases the degree of uncertainty about his presidency. "So for 10-year Treasuries, a multiple of influences obscure a rational conclusion that yields must inevitably move higher during Trump's first year in office. When the fundamentals are confusing, however, technical indicators may come to the rescue and it's there where a super three decade downward sloping trend line for 10-year yields could be critical. Shown in the chart below, it's obvious to most observers that 10-year yields have been moving downward since their secular peak in the early 1980s, and at a rather linear rate. 30 basis point declines on average for the past 30 years have lowered the 10-year from 10% in 1987 to the current 2.40%... And this is my only forecast for the 10-year in 2017. If 2.60% is broken on the upside – if yields move higher than 2.60% – a secular bear bond market has begun." The fear is, of course, that if the Fed continues to tighten monetary policy, then the yield curve (the difference between the long term rate and the base rate) would be inverted (see figure) and a recession would follow. There is nothing secular about the falling rate long or short term rate, however, which Gross analyzes in nominal terms. The declining tendency is just the result of the lower rates of inflation, what Bernanke called the Great Moderation, even if the causes are not the ones he suggested. Sure enough, in real terms, the 10-year treasuries are also down, but I cannot see a trend. What I suspect is going on in the graph above are three different phases, in which the long term rate has fluctuated around different levels. During the Golden Age (50s through 70s) the rate was relatively low, a result of tight regulation, and extensive capital controls, which allowed low rates at home. After the Great Inflation, with negative rates, and the Carter/Reagan/Clinton deregulation rates were considerably higher. What we observe in the 2000s is that after several bubble-led booms, nominal rates have been forced to the floor. But there is no secular trend associated to this, it is the result of policy choices given the macro and regulatory regime we have. It's is perfectly possible, if Trump really promotes a fiscal expansion, that the base rate would rise, and the long rate too, keeping a positive yield curve, and a higher average real 10-year bond rate. Above 2.6% for sure. Not saying it will happen. Just that it is plausible, and there is no secular trend that precludes it. A new virus, known as ‘Reality’, has started to afflict Mainstream Economists, causing them to reject the ‘as if’ arguments they used to use to justify their models. There is no known cure for the virus, and complete avoidance of ‘Reality’ is the only effective strategy to prevent infection. The joint AEA/URPE session was very lively, but suffered from the last minute absence of Brad DeLong. He did send the notes of what he was going to discuss here. On the topic of stagnation per se only Hans Despin suggested that it was an important phenomenon, but not necessarily for the same reasons Larry Summers and Brad De Long. It was unclear to me, however, that his views were based on a demand side story, and, hence, that this was more like Steindl would call it a question of stagnation policy. All the others, for different reasons were against the idea of secular stagnation. Deirdre McCloskey, who said she was an Austrian economist (and no, that doesn't make her heterodox, just a different version of the orthodox marginalist approach), argued vigorously against it. I was a bit surprised that nobody pushed back on her explanation of growth as based on ideas, and the notion that the movement of the marginal productivity of capital (that she drew in an imaginary blackboard as being downward sloping) to the right is what explains improved livings standards. 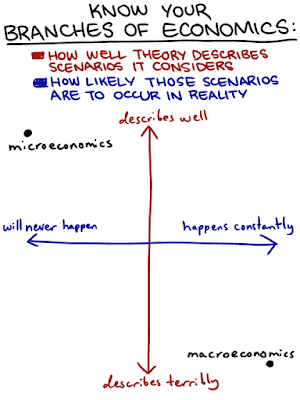 I mean I agree that capital accumulation does not explain growth (it's the other way round, growth of demand explains capital accumulation, but nobody there believed in that, other than me, and I was just the moderator), but at this point the notion of downward MPK curves should receive more criticism among heterodox economists. Lazonick and Shaikh had more to debate on the nature of capitalism, in particular with McCloskey, and the reasons for technological innovation, with both emphasizing the role of the state in promoting technical change, rather than the idea of the innovator as a superhero. PS: I was going to film it, but the memory card jammed, and in spite of all the technological advancement, we're left only with oral history. 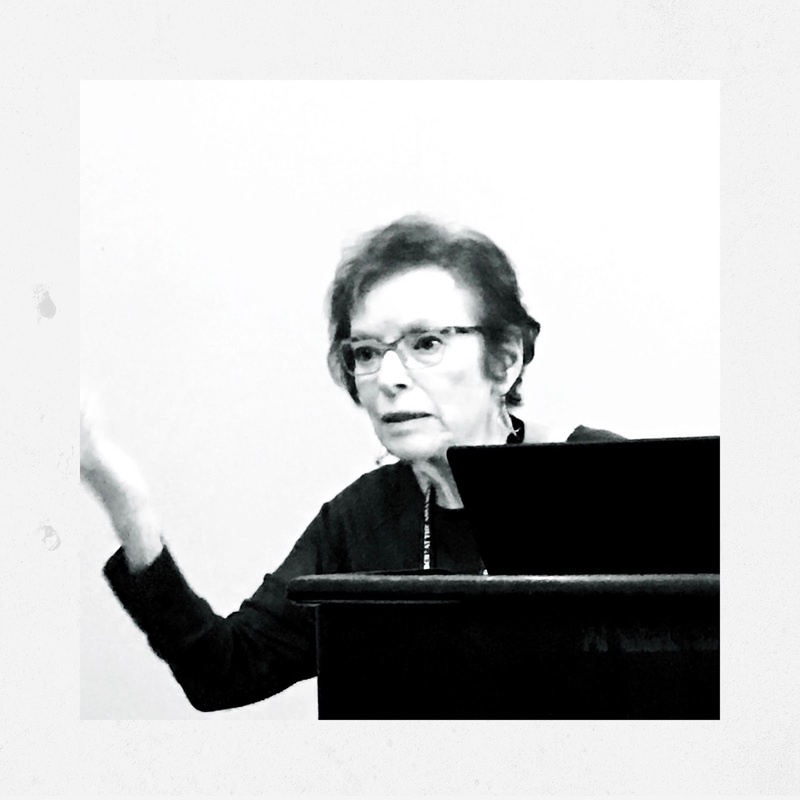 Eileen Appelbaum delivered the David Gordon Memorial Lecture at the Chicago Meetings of the Union of Radical Political Economics (URPE). The lecture, and the comments by John Schmitt will be published later in the Review of Radical Political Economics (RRPE). The gist of the argument is that ever stronger corporations use their dominant position in markets, patent and copyright protections, and their political influence to obtain favorable regulations and tax breaks to earn monopoly rents at the expense of consumers. She noted that the evidence suggests that inequality has increased more between establishments (firms) than within them, which is impressive given the increasing gap between management and plant salaries. She cited the work by Richard Freeman on how two thirds of the increase in inequality is caused by between establishment differences. "consider two indistinguishable workers, you and your clone. By definition, you/clone have the same gender, ethnicity, years of schooling, family background, skills, etc. In 2006 you/clone graduated with identical academic records from the same university and obtained identical job offers from Facebook and MySpace. Not knowing any more about the future than the analysts who valued Facebook and MySpace roughly equally in the mid-2000s, you/clone flipped coins to decide which offer to accept: heads – Facebook; tails – MySpace. Clone’s coin came up heads. Yours came up tails. Ten years later, Clone is in the catbird’s seat in the job market — high pay, stock options, a secure future. You struggle. Back to university? Send job search letters to close friends? Ask distant acquaintances to help? The you/clone thought experiment may seem extreme, but recent research that I have conducted with colleagues finds that the earnings of workers with near-clone similarity in attributes diverged so much by the place they worked that rising inequality in pay among employers has become the major factor in the trend rise in inequality." This, the fact that workers with similar skills get paid significantly different wages, suggests to her that the old story that inequality results from skill-biased-technical-change (SBTC) is incorrect, and that the power of corporations to extract rents can be seen as a New Labor Segmentation, which is superimposed on the old one, researched by David Gordon and his co-authors. I am looking forward to the publication of her paper. ICAPE is the acronym for the unwieldy named International Confederation of Associations for Pluralism in Economics. The organization has been somewhat inactive in the recent past, but it seems ready to increase its activities in the near future under the direction of my colleague Geoff Schneider. Here are his remarks on the future of Pluralism at the last ICAPE conference at Roosevelt University in Chicago. Program from last conference, where these remarks were presented is here. PS: Mainstream micro is terrible at describing too, btw. 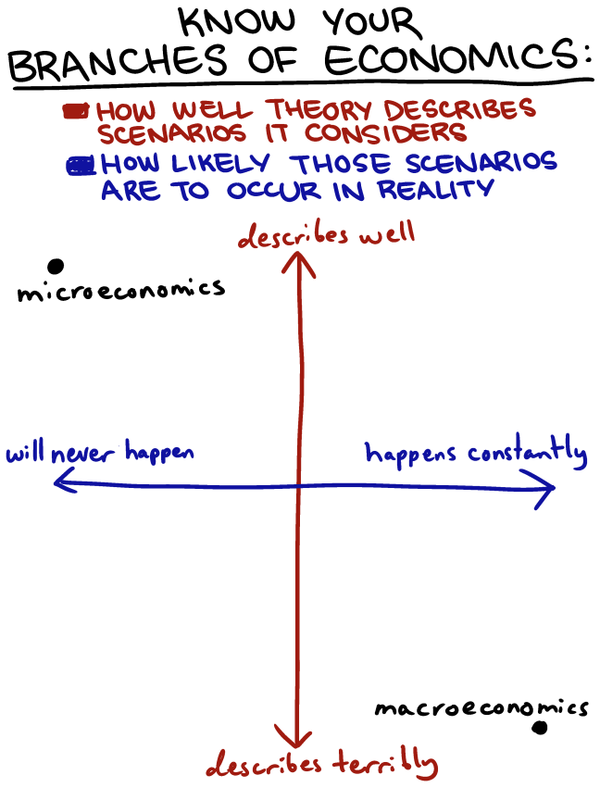 And there are a few heterodox macro people that aren't that bad at describing. 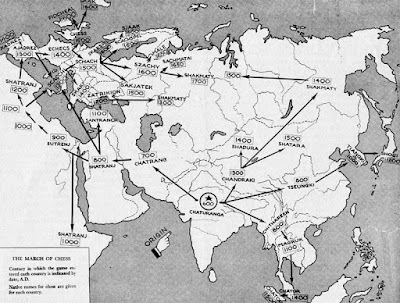 Map above shows the spread of chess from its original invention in India to the rest of Eurasia. There is an interesting analogy here with the diffusion of a game and of technology. Technological diffusion is a slow process, but an essential one, in which a significant part of the improvements are made. Gun technology, which also started in Asia, and discussed here before, is another case in point. And sometimes the latecomer has an advantage (Gerschenkron's the advantage of backwardness, a topic also discussed by Veblen). Nothing much to say about it, just a neat map. For more on the difficulties of understanding technical change go here and here. Tariffs and the Trade Balance -- In which Paul Krugman tells us that "capital flows do depend on the potential for trade in goods and services." Hm, so no possibility of capital flows associated to purely financial gain or security? Nobody holds US treasuries just because it's the safe asset in global markets?